Over 100,000m2 of Kingspan insulated panels have been used to deliver a record-breaking distribution centre for Waitrose in Milton Keynes. Contractor McLaren Construction set out to finish the entire project in just 24 weeks, a world record for a building of this type. 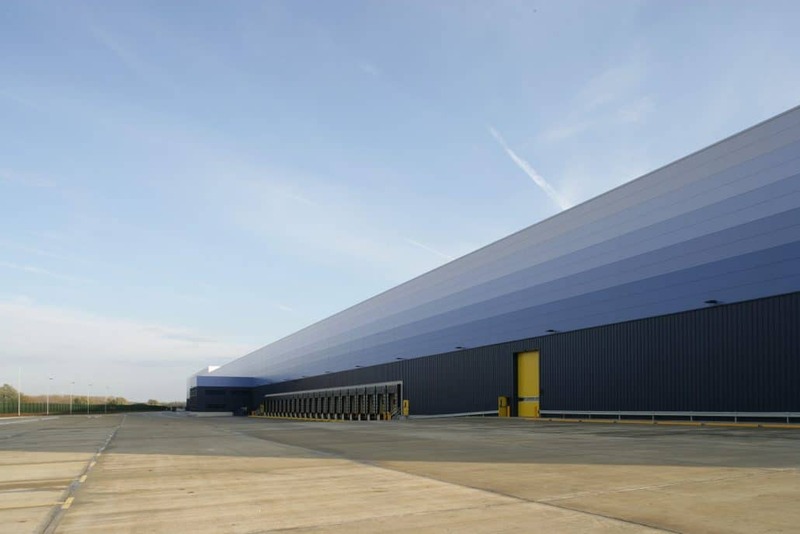 The building, equivalent in size to 12 professional football pitches, is the retailer’s first national distribution centre and one of the UK’s largest. It is located at IDI Gazeley’s flagship Magna Park Milton Keynes development, covering 45 acres over two plots at the site. Installer FK Group was tasked with constructing the external envelope of the building with an ambitious deadline. The rapid build times associated with Kingspan insulated panel systems meant that the 87,000m2 roof was completed in just nine weeks. It features a Kingspan single-component system, which consists of 72,000m2 of Trapezoidal Roof panels in Kingspan XL Forté White and 15% roof lights to maximise natural light in the building. Kingspan products were also used to create the building’s walls. 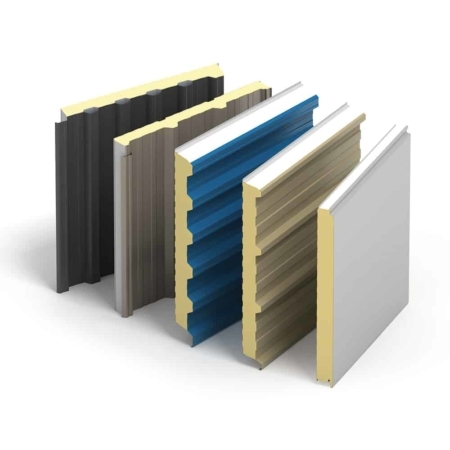 20,000m2 of Architectural Wall Panels, Mini-Micro in 600mm, 900mm and 1000mm cover widths were specified in Gazeley Blues, a bespoke range of Kingspan colours supplied exclusively to Gazeley. These panels were used alongside 12,000m2 of Trapezoidal Wall panels in Kingspan XL Forté Merlin Grey and Sapphire Blue. Both the walls and the roof also made extensive use of Kingspan fabrications, including membrane lined insulated gutters and flashings. The building also benefits from the Kingspan Guarantee, a single guarantee that covers the external coating and thermal and structural performance of the building. This was specifically tailored to suit the building requirement of 30 years, with the coatings exceeding this. 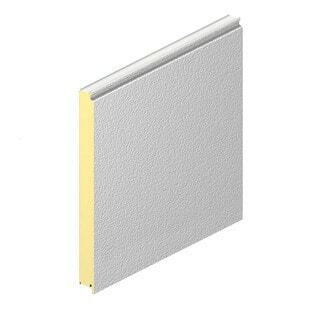 The entire range of Kingspan products installed on the building are LPCB approved for their fire performance. The products are also Carbon Trust certified, while the Trapezoidal Roof, Trapezoidal Wall and Architectural Wall Panels have been independently assessed by the BRE. 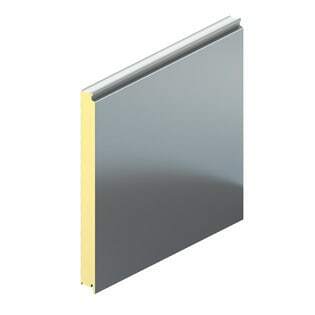 Kingspan is the only external envelope manufacturer with this standard of independent eco product certification. 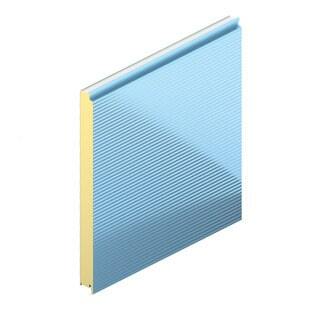 Kingspan is also the only UK panel manufacturer that meets ISO 9001, 14001and 50001 standards and OHSAS 18001. Commenting on the project, Steve Hall, Construction Director at FK Group said: “As a company we have built a strong track record in the logistics and distribution sector, having completed almost five and a half million square feet of distribution facilities in the past year alone. For this volume of construction, and the demands of the prestigious customers we work for, Kingspan is our ideal preferred partner. With Kingspan we know we are getting the best possible performance along with the quickest possible build times. The distribution centre opened in summer 2015, where it handles the 25,000 product lines needed for Waitrose’s stores and online operations.